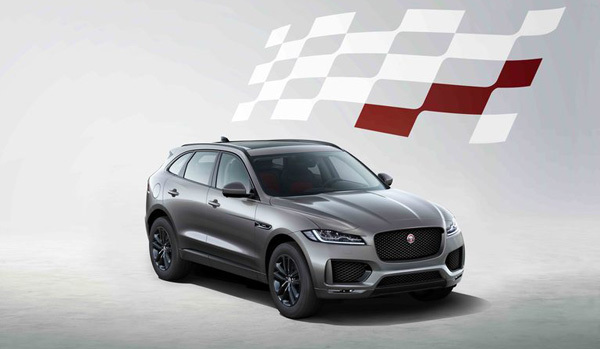 Jaguar has launched two new special editions models of the World Car and World Car Design of the Year award-winning F-PACE SUV. 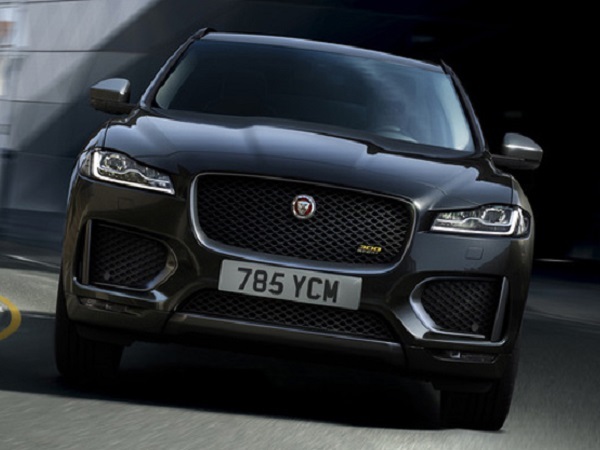 The new 300 Sport and Chequered Flag F-PACE models both come with their own distinctive, aggressive looks. “Not only does it combine sports car DNA with the practicality of a larger vehicle, it does so with a great aesthetic. The latest special editions build on this visual appeal by enhancing the model’s sporting character to each create something unique. 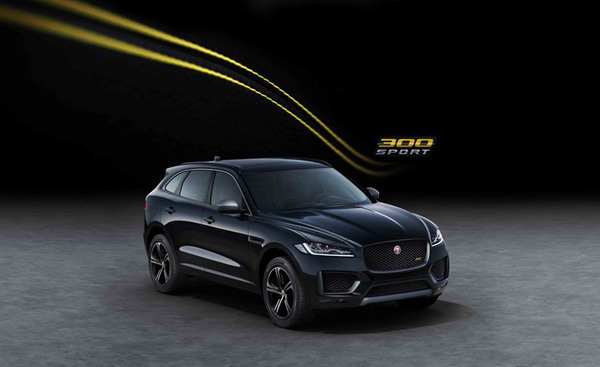 The new 300 Sport models, which sit below the 550PS Jaguar F-PACE SVR, is available with a choice of two 300PS engines – a 2.0-litre Ingenium petrol and a 3.0-litre V6 diesel. The former produces 400Nm of torque allowing the SUV to go from 0-62mph in 6.1 seconds before carrying on to a top speed of 143mph, while the diesel offers 700Nm of torque helping to propel the Jaguar to 62mph from a standstill in 6.4 seconds before reaching a heady 150mph. On the outside, the 300 Sport is identifiable by its Dark Satin Grey exterior details, with the front grille and side window surrounds, side vents, mirror caps and rear valance all featuring this distinctive colour. This F-PACE is also available in three colours – Yulong White, Indus Silver and Santorini Black. The interior has been given yellow contrast stitching on the instrument panel, centre console and leather seats, while inside and out is a smattering of bespoke 300 Sport badging, including on the front grille, tailgate, steering wheel and treadplates. The badging is also embossed in the front headrests. The F-PACE 300 Sport comes with more standard equipment too. 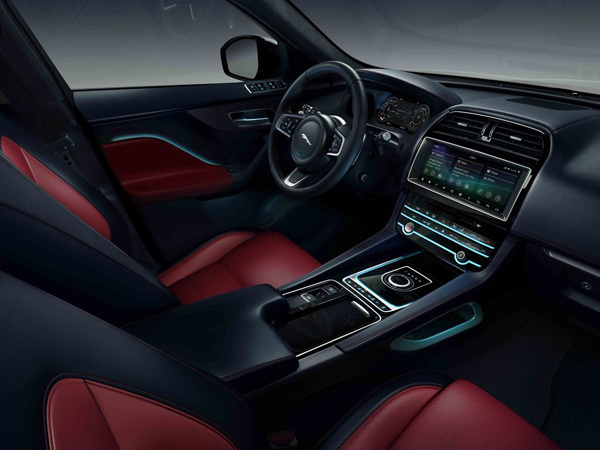 This includes Jaguar’s Touch Pro Navigation with Connect Pro infotainment system, 12.3-inch Interactive Driver Display, a Meridian sound system and 14-way electric front seats. Based on an R-Sport trimmed F-PACE, this Jaguar SUV comes with a sporty front bumper, gloss black detailing on the front grille, door cladding, side vents and roof rails, and is available in either Yulong White, Santorini Black or Eiger Grey. 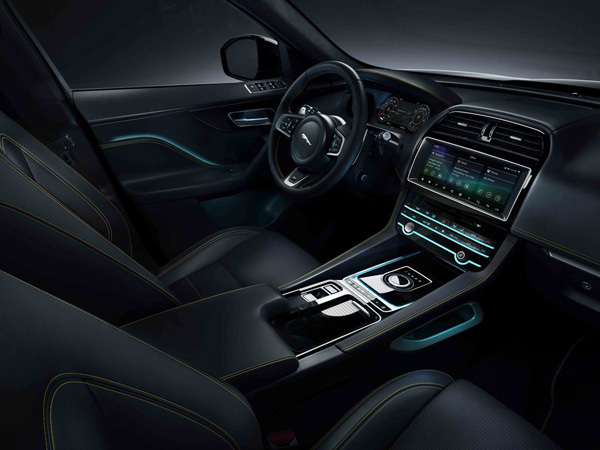 The interior features leather upholstery, meshed aluminium detailing and Chequered Flag treadplates, alongside conveniences such as 10-way electric front seats and Touch Pro Navigation, a Meridian sound system and a 12.3-inch Interactive Driver Display. Along with the announcement of the two new special edition models, every F-PACE in the range now features Apple CarPlay and Android Auto as standard. The new Jaguar F-PACEs are now available to order from £36,820 in the UK.